If there are a few travel items you can't do without what would they be? That's what Maria and Anthony Russo, founders of the Culture-ist magazine wanted to know, among other things when they interviewed me recently. I don't go anywhere without my Mary Jane-type shoes. They can fold up or lay flat in my bag and work great day or night. There's also my tiny Victorinox wallet pouch that conveniently attaches to my belt, whether I'm wearing pants or a dress. It keeps all my valuables out of the hands of would-be pick-pockets. Maria and Anthony also wanted to know about any concerns I have when I'm traveling along, which is most of the time. Yes, I'm an overly suspicious sort, let's get that out of the way right at the beginning. (For example, I never leave my drink unattended at a bar.) But I also dress and act according to local customs so that I don't attract undo attention. I also rarely carry a purse so that I'm not a target for thieves. And I trust my New York City-honed street instincts. 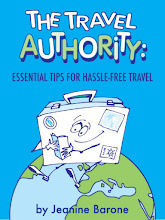 These are a few of the more than 200 tips you'll find in my new travel tips e-book, the Travel Authority: Essential Tips for Hassle-Free Travel. I've blogged about some of the things you'll find in this handy book. Read the rest of the interview at the Culture-ist, where you'll also find well-crafted articles on travel, food, small business ventures and other topics that revolve around authenticity, sustainability, a green ethic, artisanal endeavors, and a respect for women's and human rights in general. Traveling alone would be one of my concerns, too. In my younger years, I was not afraid at all -- which could have been to my detriment in some cases, but someone must have been looking out for me. Now it's the other way around -- I'm overly cautious. Hi Jane, I totally understand. Being overly cautious isn't a bad thing. I definitely err on the cautious side. This is a good reminder that I need a NEW PAIR OF travel shoes. To say nothing of a not-expired passport. Sigh. Hi Jennifer, As travel shoes go, I'm in love with my Mary Janes. They look good with just about everything. Plus, they're ultra comfortable and they have a good life span. Hi Alexandra, You probably know that I've never been a fan of rolling luggage, thought that would be what most people recommend. I only travel with a small backpack that I carry-on. It's a Mountainsmith and it's fairly light. (I've blogged about it.) For me, it's not so much the luggage that's lightweight, which it is, but, rather, packing light. I'm glad to read about this topic and always interested in these sorts of tips. I tend to feel vulnerable when traveling alone. Thanks for these tips. 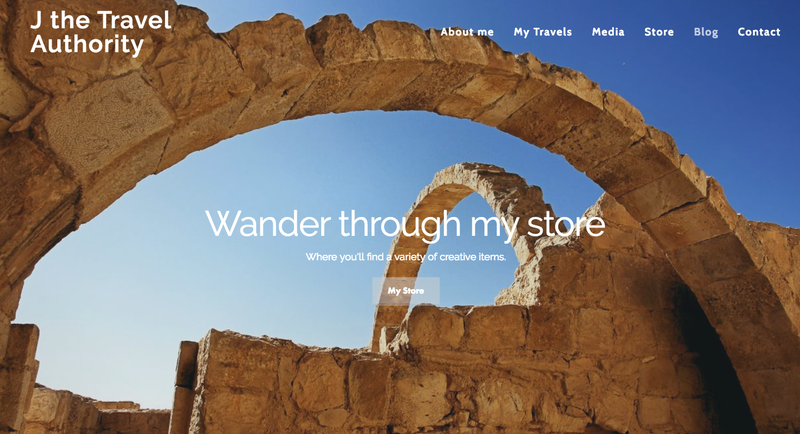 Hi merr, Hoping my tips can help you on your next trip. Hi Sheryl, Yes, traveling alone has its benefits and risks, for sure. I just try to keep the risks to the minimum. Hi MyKidsEatSquid, I know about the shoes you're referring to. Eddie Bauer sells several Mary Jane-type models also. It's great to have shoes that look good and can do triple or more duty for all these different situations. Hi Irene, So true. And once I find shoes that work as great walking shoes that look good too, I tend to stick with them. I often do a lot of field testing around NYC, wearing shoes day after day to see if they cause foot problems.